A report from earlier this year stated that the Suzuki Gixxer 250 will be heading to India in 2019. Now, BikeIndia adds that the quarter-litre naked roadster will be launched in India by as early as April 2019. When launched, the Gixxer 250 will compete against the likes of Yamaha FZ25, TVS Apache RTR200 4V and the Bajaj Pulsar NS200. The upcoming Suzuki Gixxer 250 could draw styling cues from the Suzuki GSX-S750 (pictured). The motorcycle is expected to feature LED headlight and ABS as standard. The quarter-litre motorcycle is expected to draw styling cues from the bigger GSX-S range of products like the S750 and the S1000. The hardware list is likely to be at par with its rivals, and thus the motorcycle is likely to feature an all-digital instrument cluster, LED headlight and LED tail light. A parallel-twin engine powers Suzuki’s existing quarter-litre roadster, the GSX-250R. The India-spec model, however, will most likely come with a less expensive single-cylinder motor. It could be a 249cc, single cylinder, fuel-injected engine with air and oil cooling – something that we have already seen on the FZ25. Thus, the performance numbers are not likely to be much different from the Yamaha. Expect the maximum power output to range between 20 hp and 25 hp. Peak torque is expected to hover around the 20 Nm mark. The motor will most likely be mated to a five-speed gearbox. Stopping power will come from a single disc brake setup on both wheels. The upcoming safety norms mandate the installation of ABS on all two-wheelers with a displacement of 125cc and above. It is still not certain whether Suzuki offers dual-channel ABS or opt for a relatively cheaper single-channel option. Expect to see conventional telescopic forks perform the shock absorption tasks instead of the more premium upside down units. At the rear will be a monoshock unit with an adjustable preload, in the interest of keeping the price competitive. The Suzuki Gixxer 250 will also get a fully digital instrument console - a feature that is offered on 155cc Gixxer, Gixxer SF and the Intruder 155 (pictured). 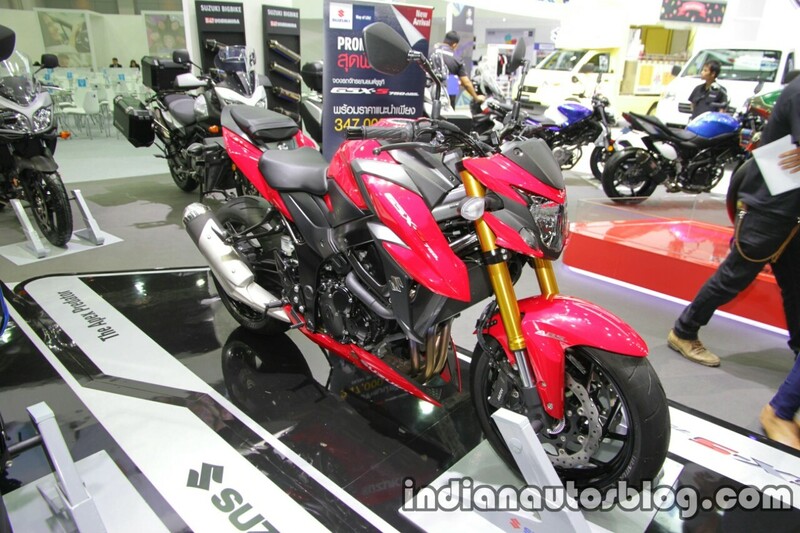 Suzuki will target the motorcycle close at the Yamaha FZ25. 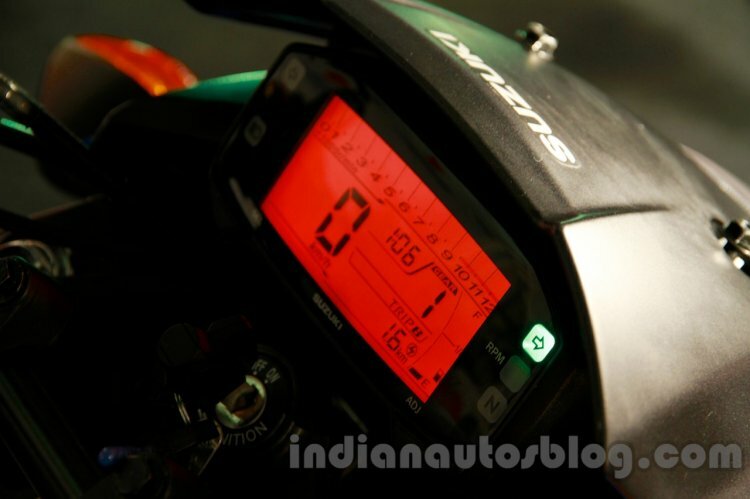 The non-ABS variant of the FZ25 retails for INR 1.19 lakh (ex-showroom Delhi). The ABS equipped Suzuki Gixxer 250 could arrive anywhere between INR 1.30 lakh to INR 1.50 lakh (ex-showroom). The motorcycle is expected to be followed by a fully faired version that will compete against the Yamaha Fazer 25, Bajaj Pulsar RS200 and the Honda CBR250R. Suzuki Gixxer 250 engine patent images leaked; Launch in Q1 2019?